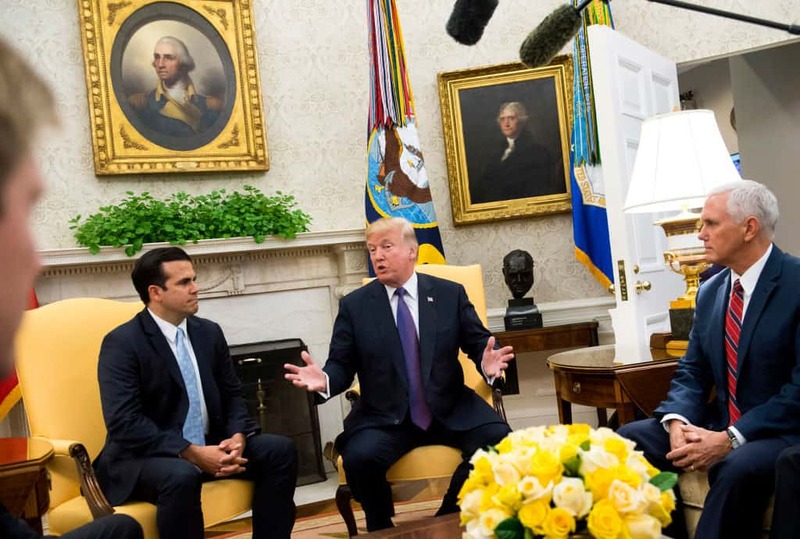 Ricardo Rosselló, the governor of Puerto Rico, tweeted out a hashtag to remind everyone in the administration of President Donald Trump that his island territory was part of the United States. Rosselló tweeted out on Tuesday, #PuertoRicoIsTheUSA. The tweet seemed to be in response to the many gaffes and insulting remarks that officials within the administration of President Donald Trump have made toward the territorial island, which was hit by Hurricanes Maria and Irma in 2017. That disaster devastated the island, and officials are requesting the federal government do more to help out. It wasn’t the only mistake Gidley made while speaking with Jackson. Gidley also parroted a line made by President Donald Trump earlier in the week, suggesting that Puerto Rico had already received $91 billion in aid from the government, per reporting from HuffPost. “They have received more many than any state or territory in history for rebuild,” Gidley added. “That’s not true,” Jackson responded, and proceeded to fact-check Gidley within the interview. She pointed out that the $91 billion figure was the projected costs of repairing the island, not what has been granted to the island so far, and that the administration had only committed $11 billion of relief to Puerto Rico since the disaster, according to a report from Talking Points Memo. She also corrected Gidley on the point that the U.S. had spent more money on Puerto Rico than any other disaster relief project, reminding the deputy press secretary that Hurricane Katrina, which hit the Gulf Coast in 2005, had repair bills of around $120 billion. Finally, Jackson reminded Gidley that labeling Puerto Rico as “that country” was a mistake — it is, in fact, part of the United States. “Do you think that’s a concern, that there is that kind of slip of the tongue inside the White House?” Jackson asked. Gidley proceeded to try and defend his mistake. “A slip of the tongue is not on purpose, Hallie, that would by definition be a slip of the tongue,” he said.